Lurax is a skin ointment designed for treating minor scrapes, bruises and other skin irritations like Sun burn, Mud fever and Greasy heel. It is particularly favoured by professionals as it has a reputation for encouraging hair re-growth on rubs and wounds. Cavalor Lurax may help reduce pain and itching, stimulate wound healing and inhibit the formation of scar tissue. It can be used on open wounds that are small or superficial. Cavalor Lurax contains cod liver oil, zinc oxide, vitamins A and D, boswellia serrata, aloe vera and essential oils ensure that this ointment has a soothing and relaxing effect on the skin. Directions for use: Apply the ointment to clean damaged skin. Store Lurax in a cool place. 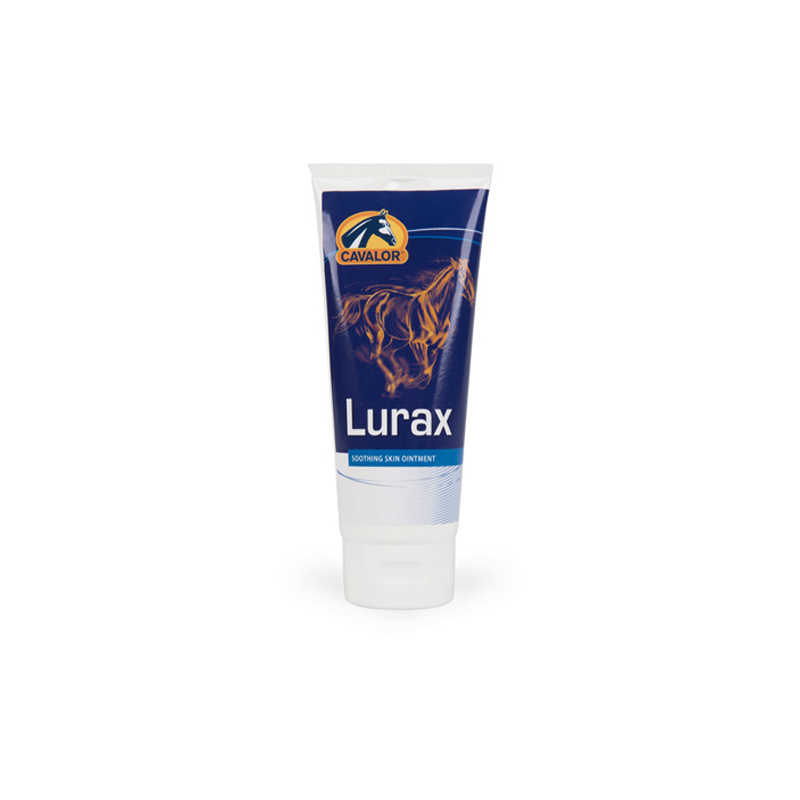 In the case of serious skin damage, wounds or inflammation, please consult your vet before applying Lura.